And it made me wonder. What is my red carpet? What did I dream of as a kid? Me? I wanted to be a professional ice skater! For some reason, I knew about a famous figure skater named Sonja Henie. She actually competed in the 1920s and 1930s, so I have no idea how I heard about her. Maybe from my parents. I’m not really sure. All I remember is that I would lace up my ice skates, glide out onto the rink, and announce to the world: Here she is, Nancy Depcik, debuting as an Olympic figure skater. I could picture it, outfit and all, and I could hear the roar of the crowd. That was my red carpet dream. But my life took me down another path – one that did not include ice skates. However, it did include the excitement of a crowd and the energy of an audience. So, as a professional speaker, I guess my ice rink became my stage, and I traded in my ice skates for a microphone. And I wouldn’t have it any other way. I absolutely love what I do, sharing my message of positive thinking with all who will listen, helping people to see their life challenges a little differently, and to find happiness in the process. 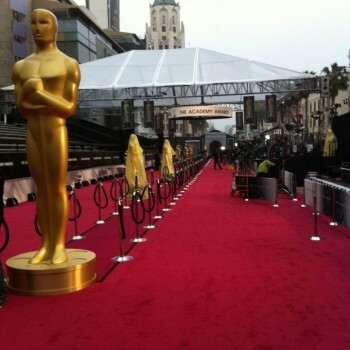 Red carpet dreams really do come true, sometimes they just look a little differently than the one we imagined. What’s your story? Do you have a red carpet dream?